PCD Pharma Franchise in Maharashtra – Medlock Healthcare is enlisted as the leading Pharma Franchise Company from Maharashtra. Our company deals in multidimensional drug range that made us quite prominent pharma franchise company in India. Since the starting, we have been improving ourselves by adding and opting many newly developed marketing strategies. Now with the aim to expand the boundaries of our business, we have come up with PCD Pharma Franchise in Maharashtra. The reason for choosing Maharashtra is its emerging healthcare sector, which has introduced many newly developed medical centers like hospitals, medical institute, the healthcare sector, and many others. Introducing a PCD Pharma Franchise in Maharashtra would be most rewarding business opportunity for you. If you are looking for the reliable Pharma Company to associate with then Medlock Healthcare can be taken as the priority. We are the leading Pharma Franchise Company, known for delivering the best quality range of pharma products. To know detailed information about our offered opportunity, do not hesitate to give us call +91-9541112000, +91-9356647200. We are always ready to provide you with our valuable assistance. Medlock Healthcare is the leading Pharma Franchise in Maharashtra. We are known for delivering the best quality range of pharma products that helped us in leaving a benchmark in the market. From the very day, we have been delivering the best premium quality drug range since starting. PCD pharma company list in Maharashtra, Medlock Healthcare strive to deliver outstanding quality medicine for better health. Being a responsible Pharma Franchise Company, we thoroughly understand our responsibility and for that, we provide you with the best ever facilities through which you can easily secure a position in the market. Medlock Healthcare is among the top pcd pharma companies in Maharashtra because of its huge listed of branded medicine. Marketing Benefits- With the help of our best ever marketing personnel, we provide you with the best ever marketing benefits through which you can easily secure a position in the market. These marketing benefits will be in terms of marketing costs and benefits. Promotional Inputs- Our company will also provide you with a variety of promotional inputs such as visual Aids, Sample catch covers, Visiting cards, Daily Reports, Order books, Gift articles etc. Monopoly Rights in Maharashtra- We also provide you variety of monopoly rights through which you can easily secure a place in the market. It is the most effective marketing strategies that are being provided by the pharma company. Regular Incentives- Our company is also open to provide you with regular incentives through which you feel motivated every time and bring out the best ever result. Customers Support etc- We are also able to provide you with the best ever customers support until you would not get the desired result. So, bet the part of best PCD Franchise Company in Maharashtra. We are committed to cure, prevent and improve the healthcare sector through life-saving drugs. Medlock Healthcare undoubtedly supports its business partners in doing so. We deliver you the best ever marketing support through which you can easily showcase the potential of your business skills as well as drug range that you are offering. Our company is backed by the leading marketing personnel, who helps us in opting the best ever marketing strategies and tools for better exposure to the business. 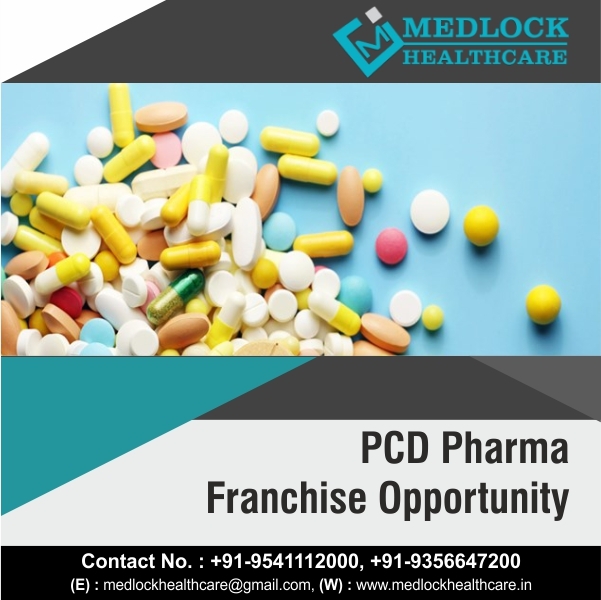 If you are intended to start up the business with PCD pharma franchise company in Maharashtra then go through the below-mentioned points to contact us and know the detailed information about it. All the given numbers are perfecting working. Come and be our Pharma Franchise associates in Maharashtra and start your own business within no time. Medlock Healthcare offers you the high-quality range of medicine throughout Maharashtra for PCD Pharma franchise in Mumbai as well as for the PCD Pharma Franchise in Pune.